this shoebox was at a show at lakewood and woodruff. was a real eye catcher, and the owner knew it. 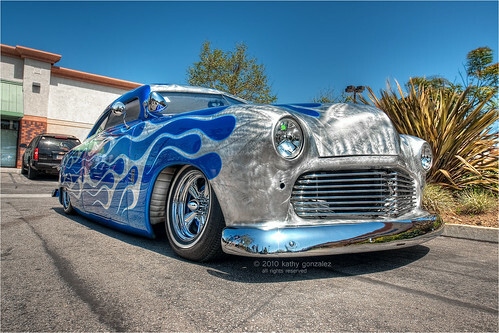 really interesting flame paint job over what seems to be brushed metal, and the pinstriping was pretty cool. check out the back here. not the best shot, but you can make out the girl, i think. i wasn't too happy with my shots, and i haven't seen it again anywhere else. here's to hoping.